Some people suffer from worn, broken, missing teeth; discomfort when they bite or chew; TMJ pain; and other dental problems that just don’t seem to end. They may have the teeth repaired, only to have the problems reoccur. If this sounds like you, full-mouth restoration may be the solution. The problem may start with the position of your jaw. When your jaw is out of alignment, it throws everything off in your mouth. Everything is out of balance. The joints, muscles, and teeth don’t work in harmony, causing a variety of signs and symptoms. Your teeth don’t meet properly, causing them to wear down, chip and break, and/or become loose. Damage can also occur to your jaw joints. The first step in treatment is returning your jaw to its physically healthy position, easing any tension or strain in your jaw joints and muscles. We will then address the teeth predictably. From, crowns, bridges and implants to veneers, inlays and onlays, we will use a variety of restorations to meet your individual needs and return your teeth to health, strength and function. The result? A smile that looks and feels better than ever. I was referred to Dr. Davis by a dentist that I had been seeing for a number of years. He noted (correctly) that I had a “complicated set of teeth”. For example, I had a bridge that was repeatedly breaking. 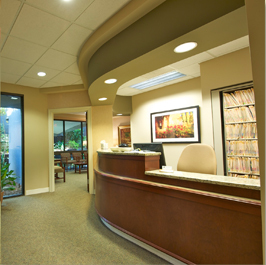 Dr. Davis carefully examined me and laid out a treatment plan – with options. I liked the way he involved me in deciding upon what would be done and when. I was always at ease during procedures because of his technique and because he explained what he was doing. I am extremely pleased with my teeth now that Dr. Davis has corrected my dental problems. For the first time in my adult life, I show my teeth when posing for pictures! I would refer anyone to Dr. Davis without hesitation.